This is a photograph (ca. 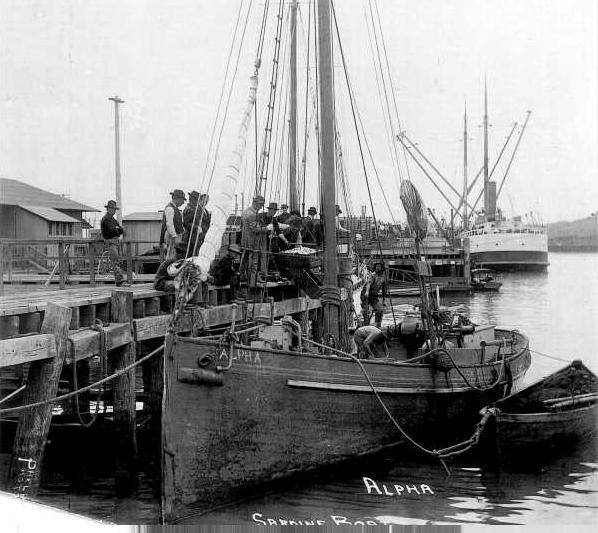 1893) of the Alpha, the first sail and gasoline powered sardine fisher to sail from San Pedro, California. Captain Ed Young was Master of the Alpha. This photograph was provided by the family of Captain Young.